One of the funniest and craziest facilities: A brand new water park!! Don't Forget your swimming suits and your sunscreen. Enjoy the fun, let yourself free, and feel a maximum of adrenaline through all your body. Get ready to ride the buoy!! Located inside the hotel, the Water park is totally renovated and build based on the same standards than the bigget european water parks. 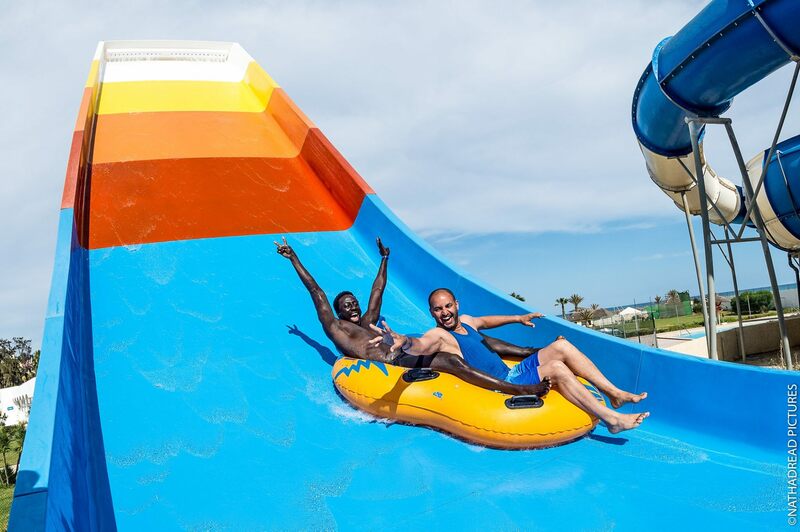 Bring 2017's "splashworld challenge" alive, and get ready to share unforgettable moments with people from around the world all day long. Dancing on the waterside, while taking in some invigorating sea air and while your feets are feeling the fresh water is an unbelievable experience. 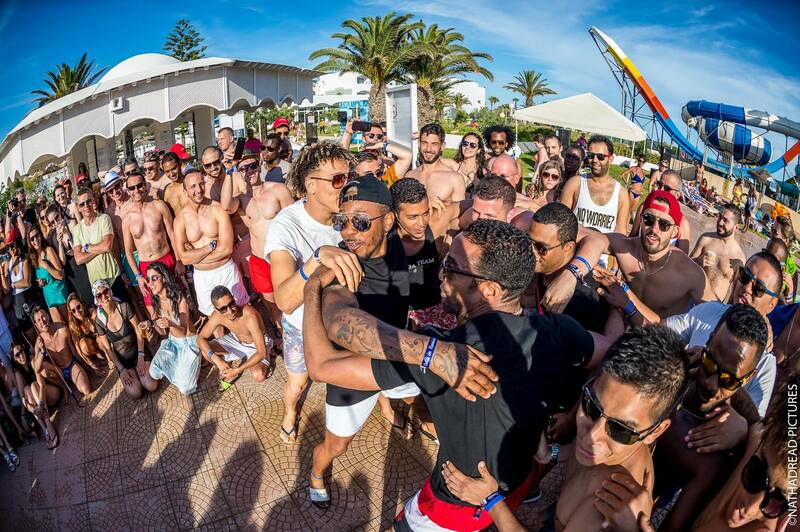 Enjoy some amazing and crazy beach party with all the participants and the instructors! 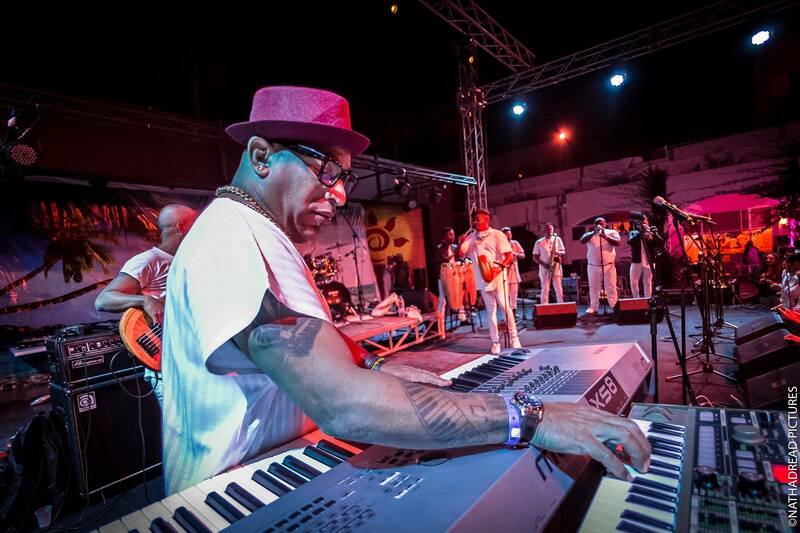 Enjoy a sunset on the beach on the sounds of the best cuban music, with a zest of funk, hip-hop, r & b. Everything is made up to bring the locura sin freno to its highest level. Then... Express youself and warm up for the night parties. One of the key activities of CUBA IN TUNISIA.. 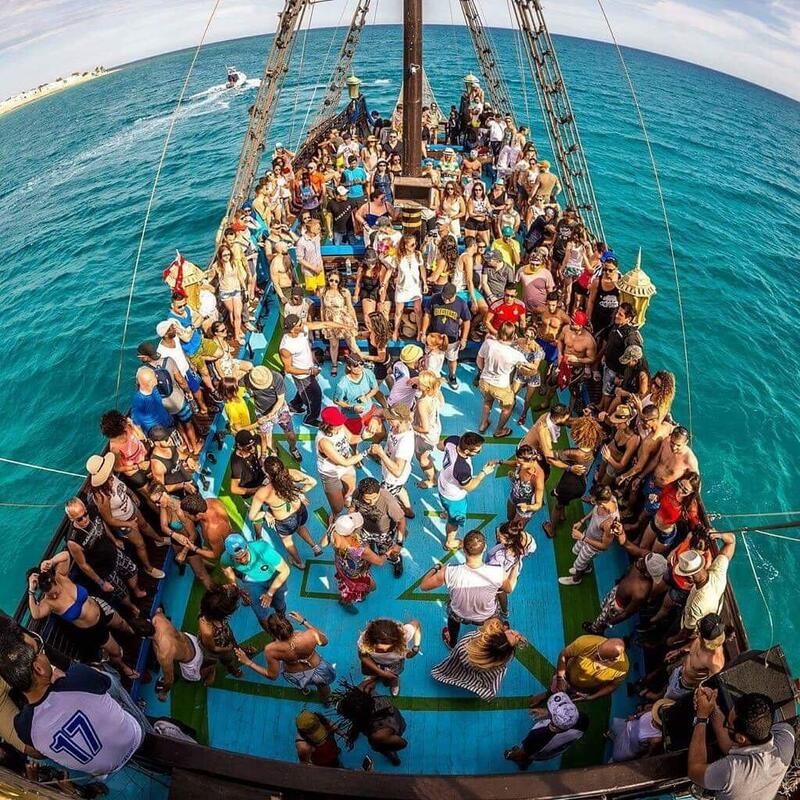 Imagine more than 600 participants aboard two pirate boats. Feel the sailor feeling in the middle of the mediteranean sea, and be part of an unforgettable experience. Defend your boat during the water bubbles battle, and jump in the water to meet the dolphins who usually come and share some timba session with all of us. Trying to always provide you the best experience ever, we are eager to choose top location for the festival. More than an accomodation, we want a HOME ! 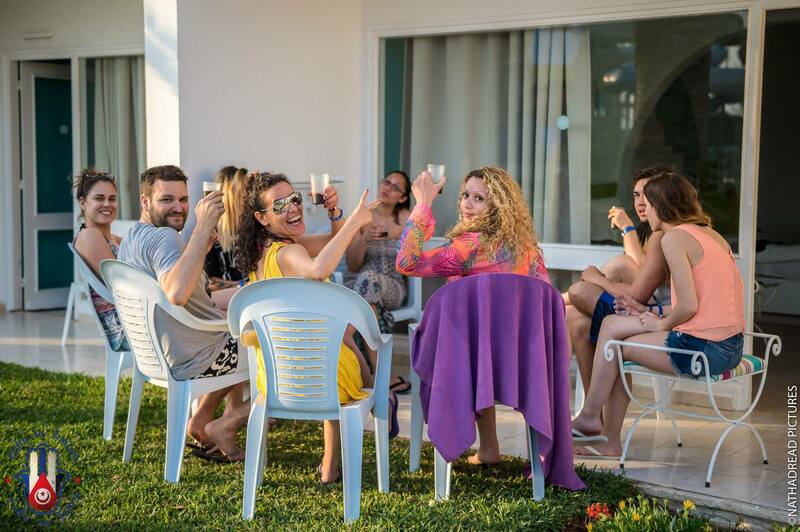 A hotel with a soul, where we can feel like it's our home where the big family is meeting for a week of Locura. Can you imagine a home without meals? All Drinks on us... and the meals as well! 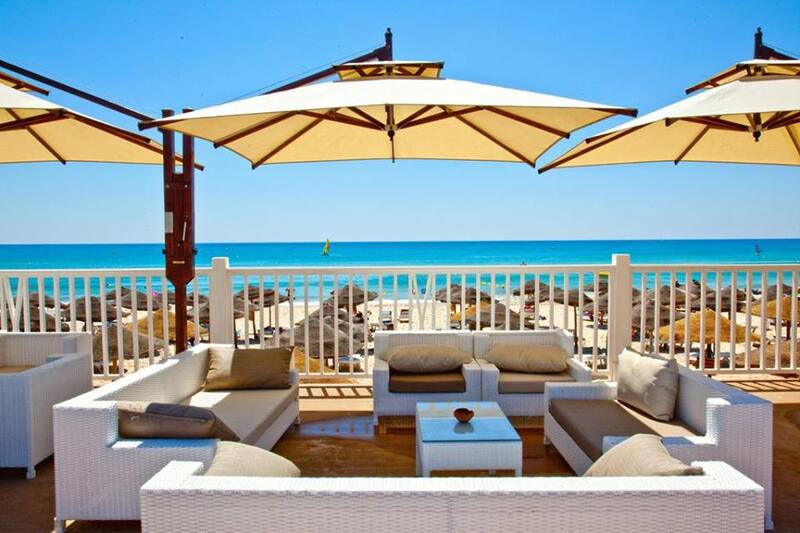 You are greeted with an all inclusive offer where you just put your feet up and enjoy the fun, sun and beach. 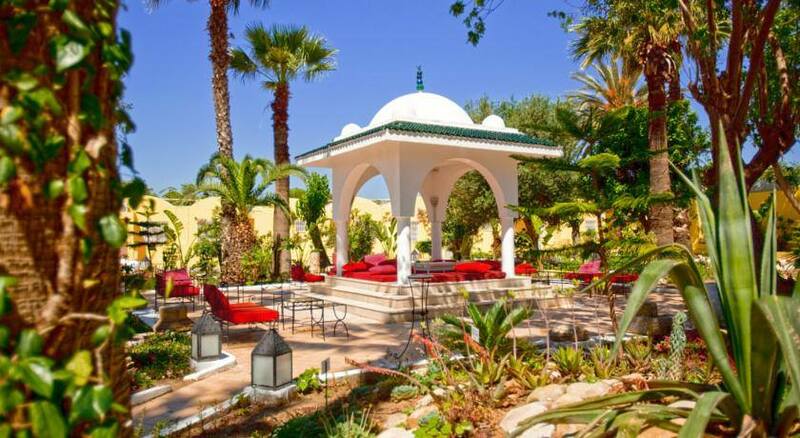 The Breakfasts, lunches and dinners have another taste when shared with the Cuba In Tunisia Family. 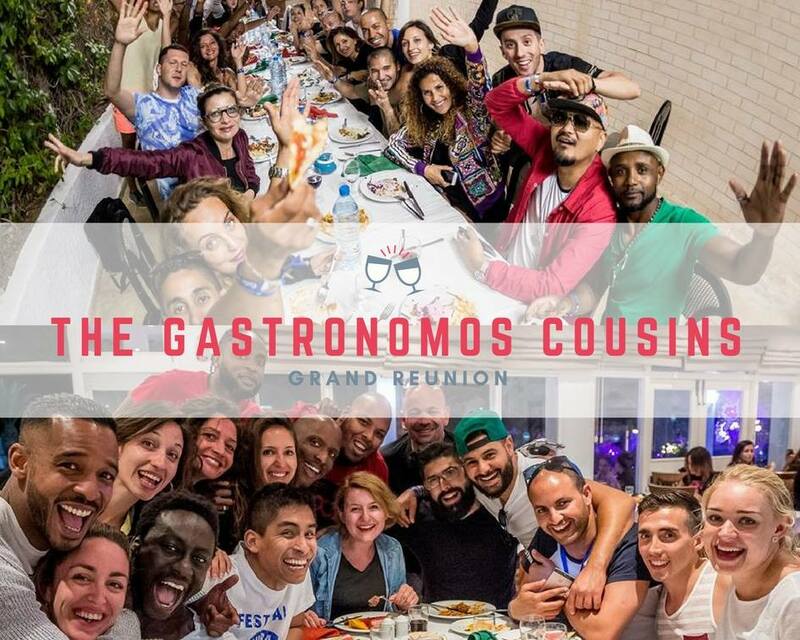 A big reunion of Cubasinos for whom a simple meal is another pre-party! If you can't share with your friends, who can you share with? Everything is set to promote interactions between all the participants, to help meet all those new people coming from all around the world. Just grab your glass, knock on the next door and you will surely find another loco sin freno who is seeking for sharing good time with you. In Cuba in Tunisia, you will not remember days anymore, you will remember moments. The pool is definitely our new playground! You can enjoy the pool all day long, tan and of course share moments with your friends and the instructors. Swimming, chilling or riding a buoy ...Who doesn't like the pool?? Rumba Abierta next to the pool, This is how we do it!! 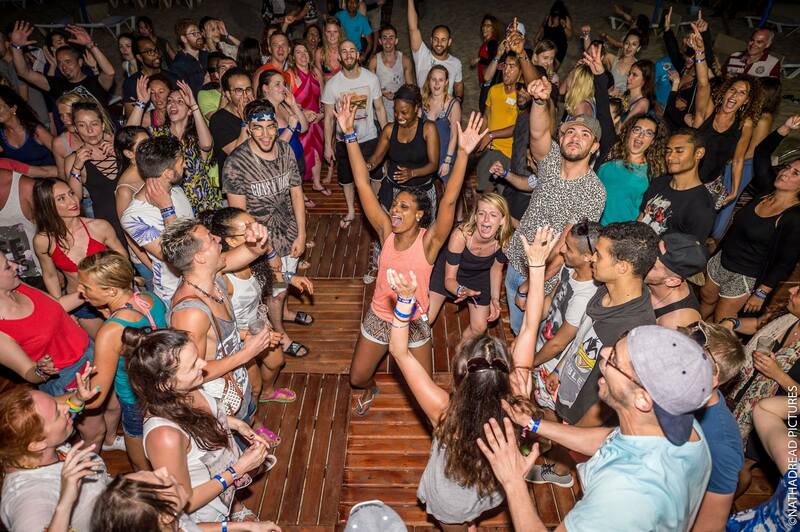 Live music that brings everybody together: Instructors, DJ, Bands and of course all the participants to share an authentic moment. 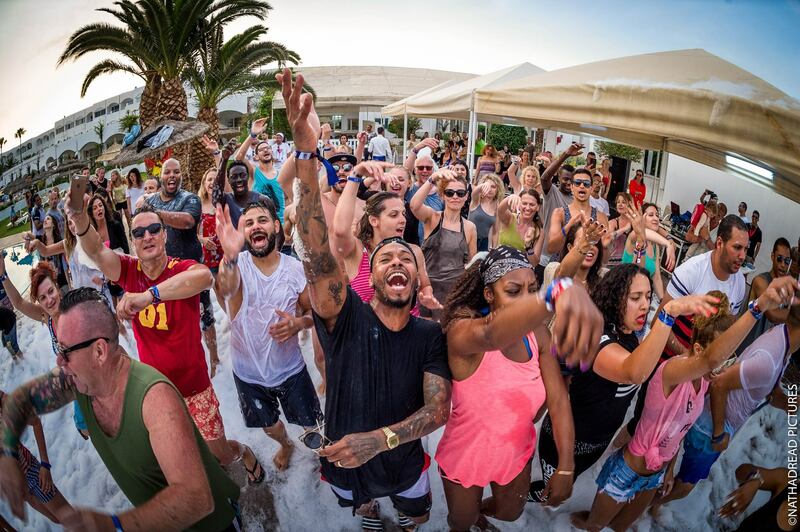 Dance a bit, take a dunk in the water to refresh yourself and come back to the dancefloor energized. 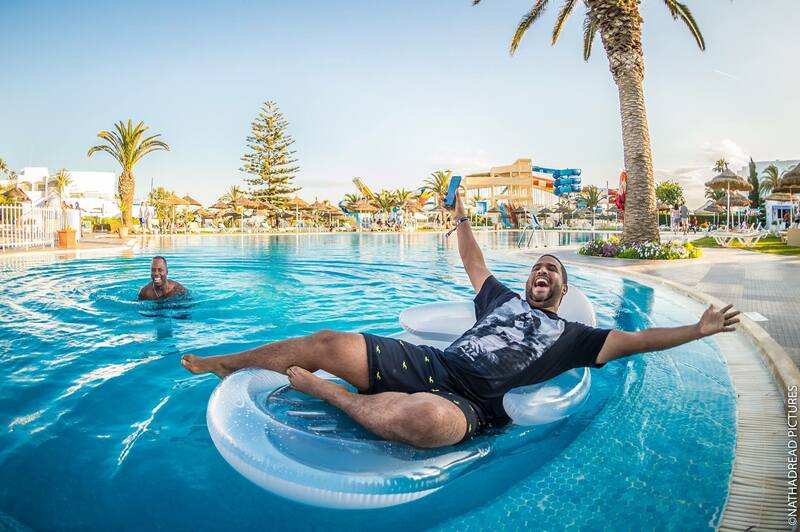 Pre-parties in the pool are also an epic moment, and usually end up to an explosion of craziness, especially when we invite the foam to join us!! Enjoy the unique experience of outdoor workshops. 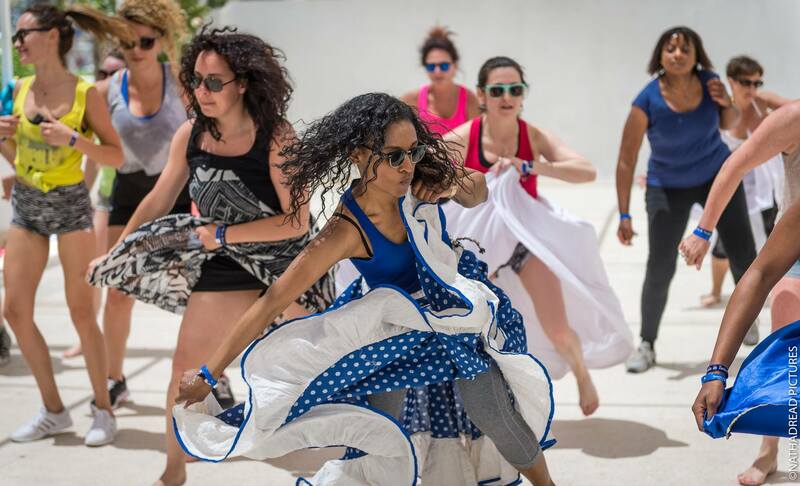 All the workshop spaces are outside, to give you the opportunity to enjoy the several amazing views, while taking workshops with the best instructors in the cuban dance scene. Feel the sun on your face, let the sea air breeze cool you. Workshops are another opportunity to tan while improving your skills. To bring the energy to another level, workshops will be animated by live music played by some of the most skilled percussionnists. 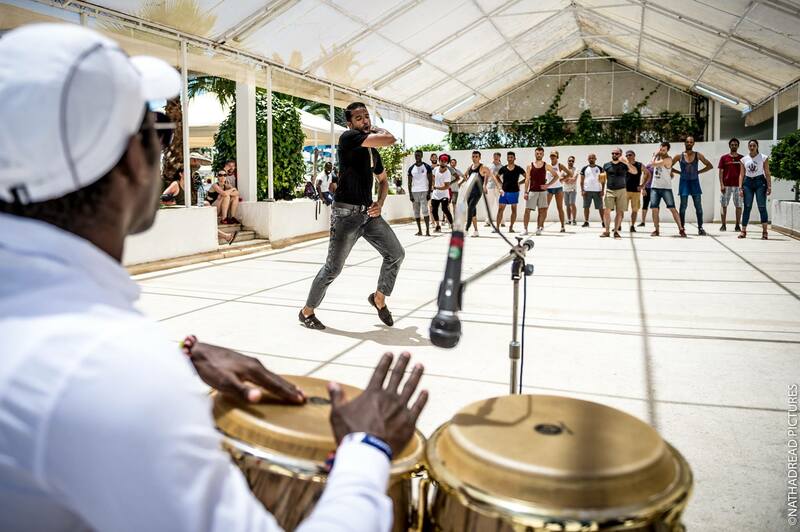 Let the percussion take you away, and bring you to the heart of Havana, without leaving Tunisia. The real cuban energy will take over, and don't be surprised to see some descarga here and there, during the workshops. We will transform the hotel to an authentic cuban village. The stage inspires, The stage brings the best out of any musician. It is always the opportunity to hear something different from the studio and the disc. 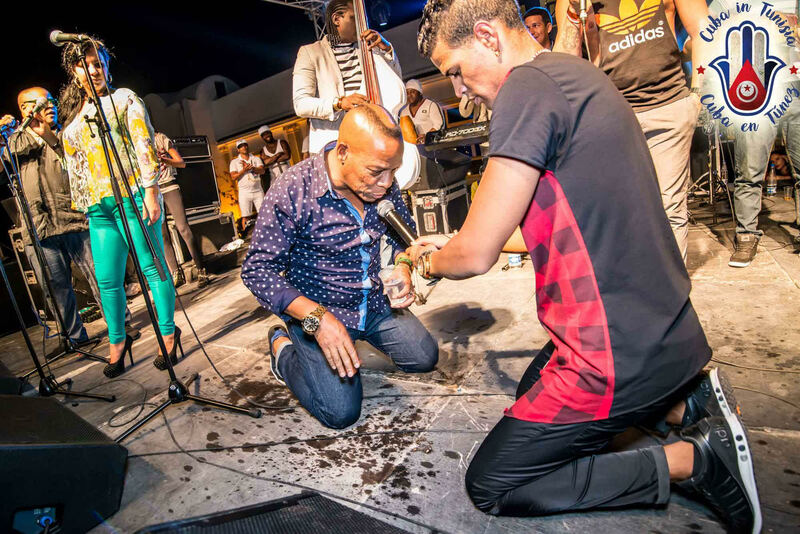 Feeling the energy of the audience always push any musician to show his skills, and lead to an amazing performance, especially with the cuban bands, for whom the live is an opportunity to free their creativity. We are proud to have welcomed some of the biggest and historical cuban bands: Elito Reve y su charangon, Puppy y los que son son, Lazarito Valdes y Bamboleo, Barbaro Fines y su Mayimbe, Aisar y el expresso de cuba. Such amazing concerts where we went crazy, and felt alive. This Year, we are working a big surprise that will bring the live music experience to a higher, so much higher level. Stay tuned, big anouncement is coming very soon.